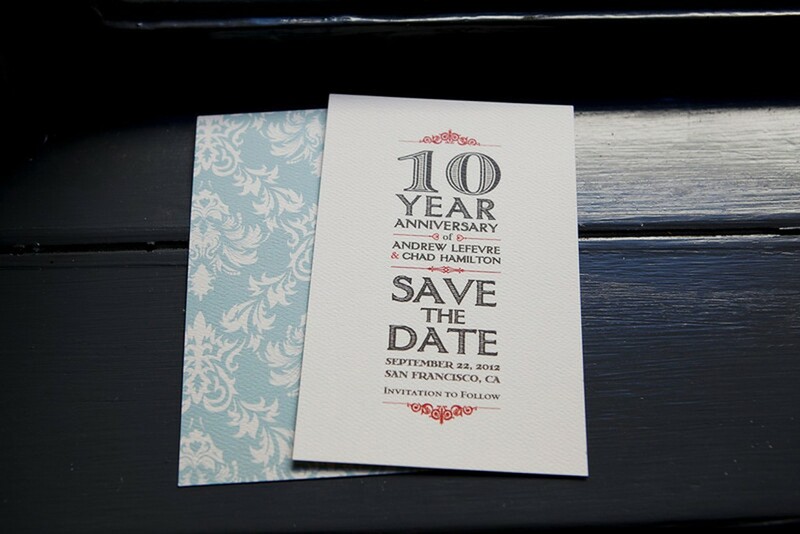 Invitation, Save the Date, and RSVP for Chad & Andrew’s 10 year Anniversary party. 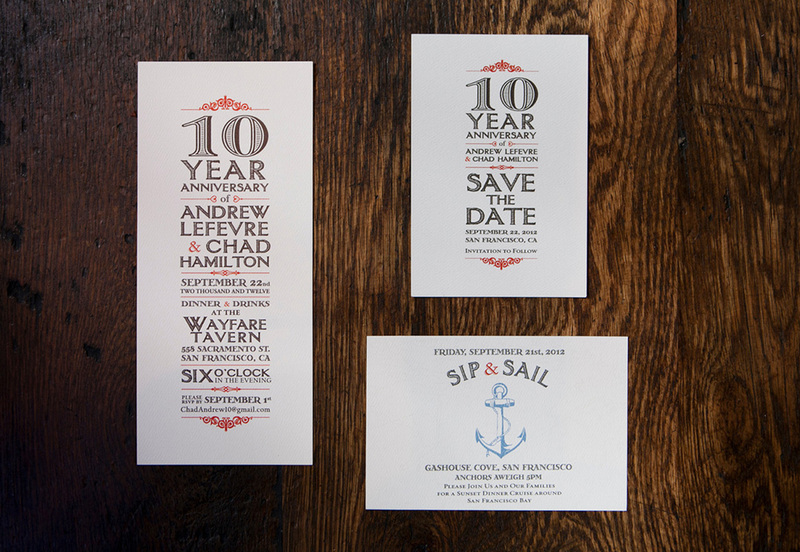 They wanted an invitation that was unique, yet classy and was indicative of San Francisco. 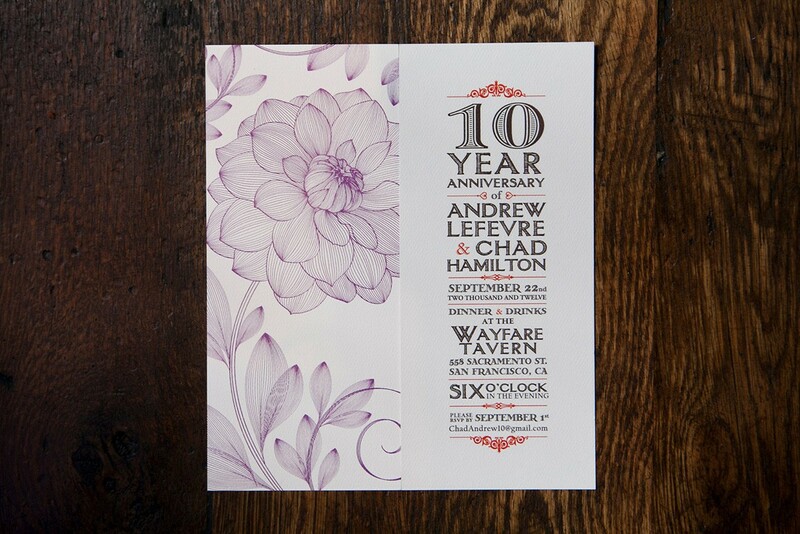 Incorporated turn of the century fonts and Giants colors. 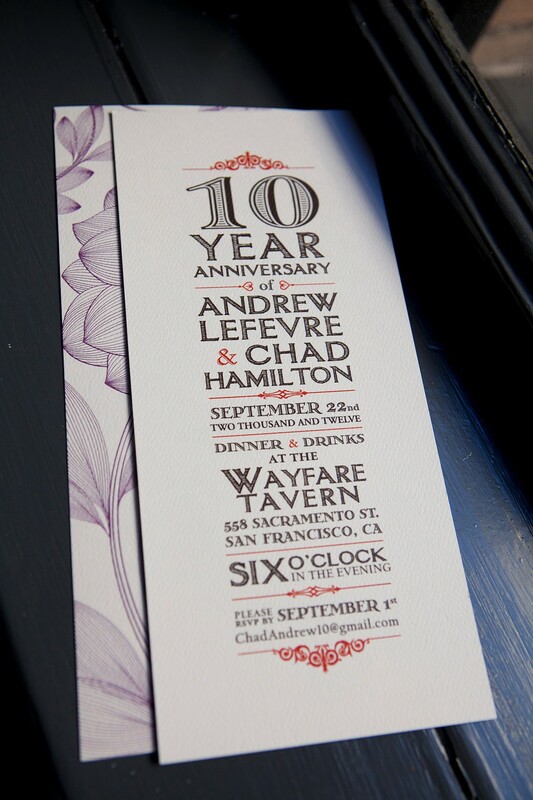 Back of invitations were detailed by dahlias (the official flower of San Francisco) and 1850s maps of San Francisco Bay.